When it’s cold outside, kids love playing in the frost, snow and winter weather. 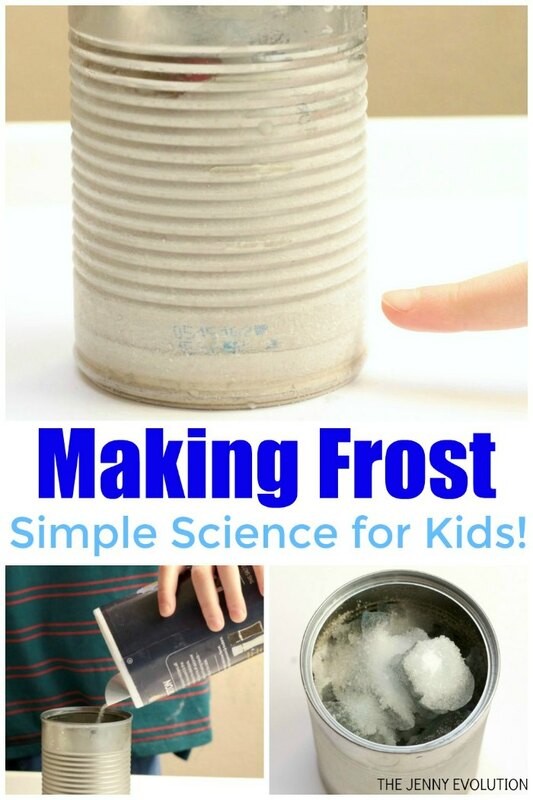 But whether you live in a location where winters are mild, or if it is much to cold to play outside, you can still have all the fun of playing in the frost and snow in your own kitchen when you do this frost experiment. 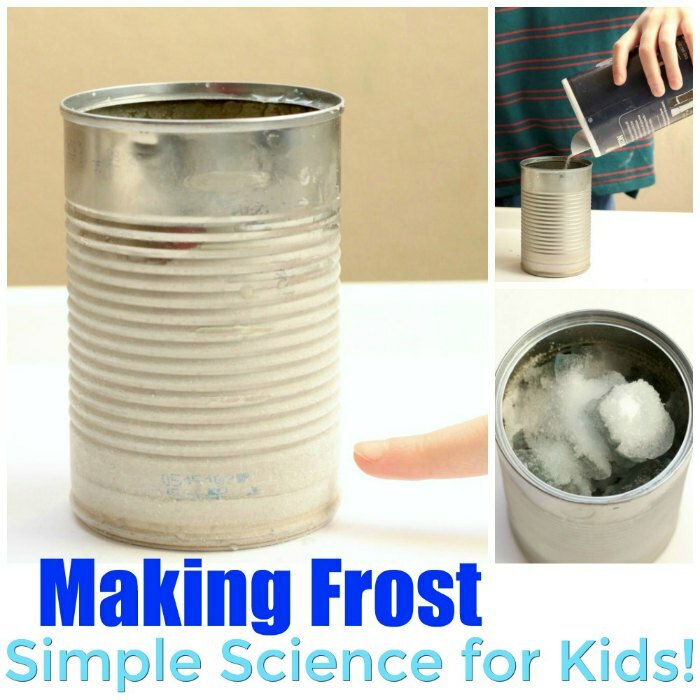 Kids will be delighted at how they can create their very own frost in a can! This post contains affiliate links. 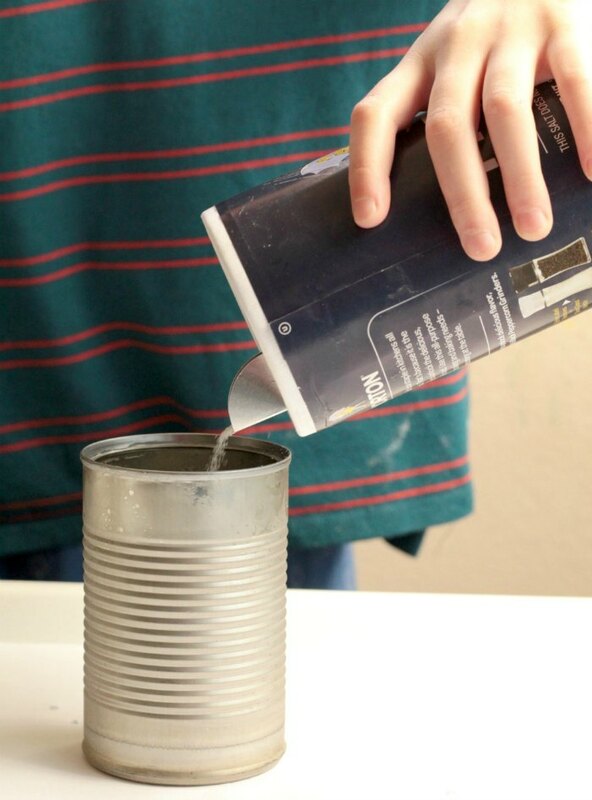 Follow these tips to make your own frost in a can! First, you’ll need an empty can. 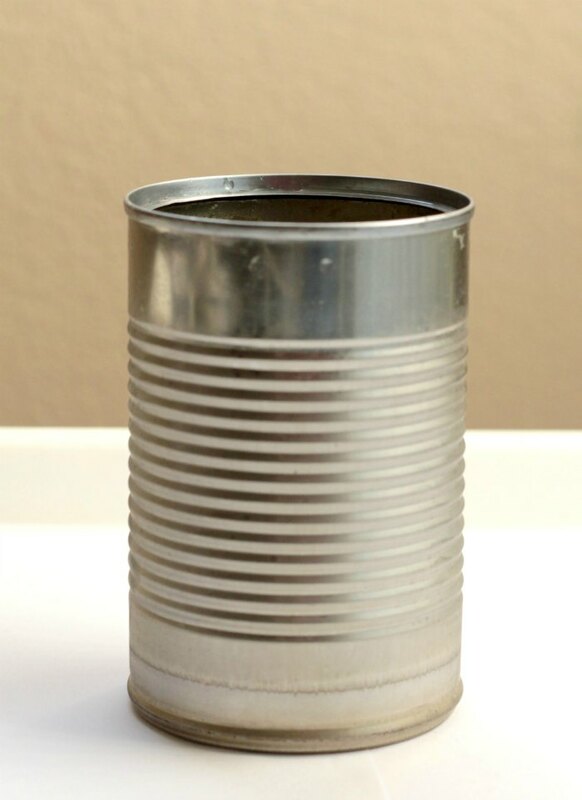 Just save a can from when you are cooking one day, or empty a new one out and serve the contents for dinner. Wash the can out so no food remains. 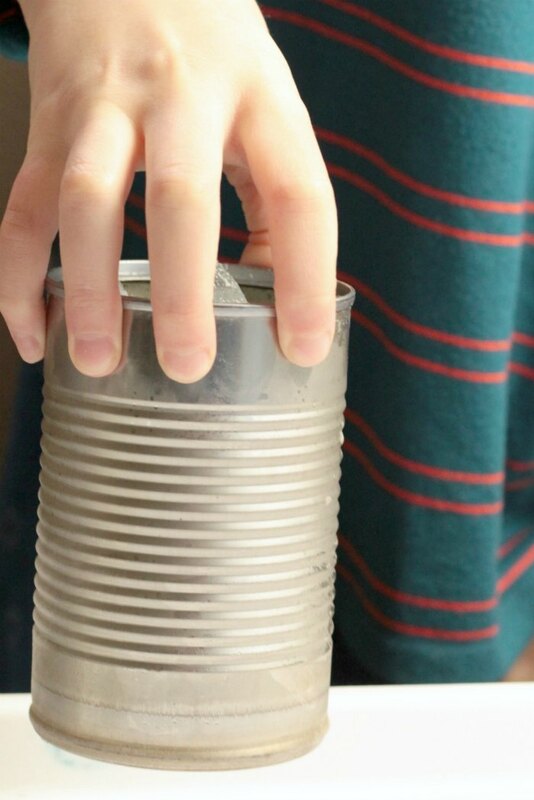 Fill the can with crushed ice. Ask the kids if they think ice will form. Some might say yes, but others might say no. Instruct the kids to add salt to the ice. What do they think will happen after the salt is added? In about five minutes, frost should start to form. If your frost is reluctant to appear, give your salted ice a good shake to get things moving. 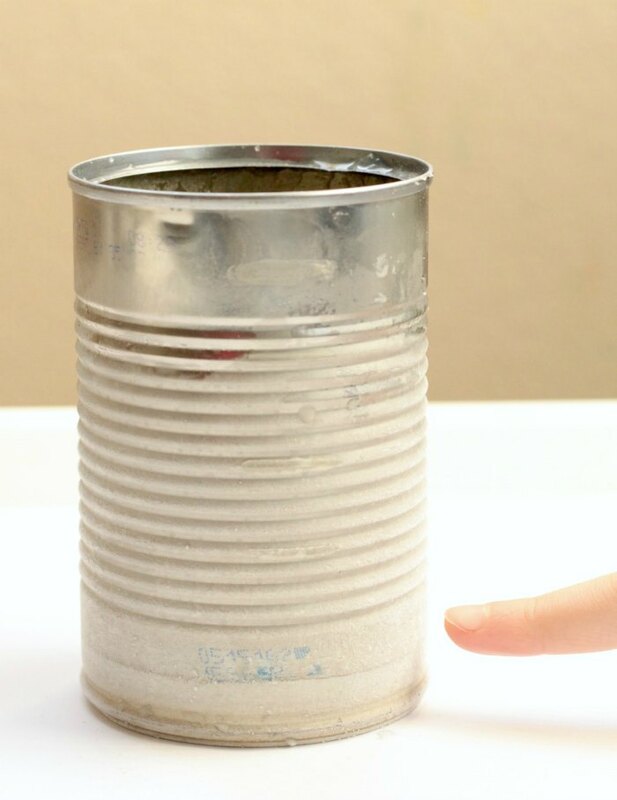 Frost will form rapidly after the can is shaken. After the frost forms, inspect it with a magnifying glass. Does the frost look like little snowflakes? Air holds water vapor, which is what you’ll see condensing on windows and doors when the humidity is high. When the surface that the water vapor clings to is below freezing, it sticks on the surface as frost and ice rather than water droplets or dew. 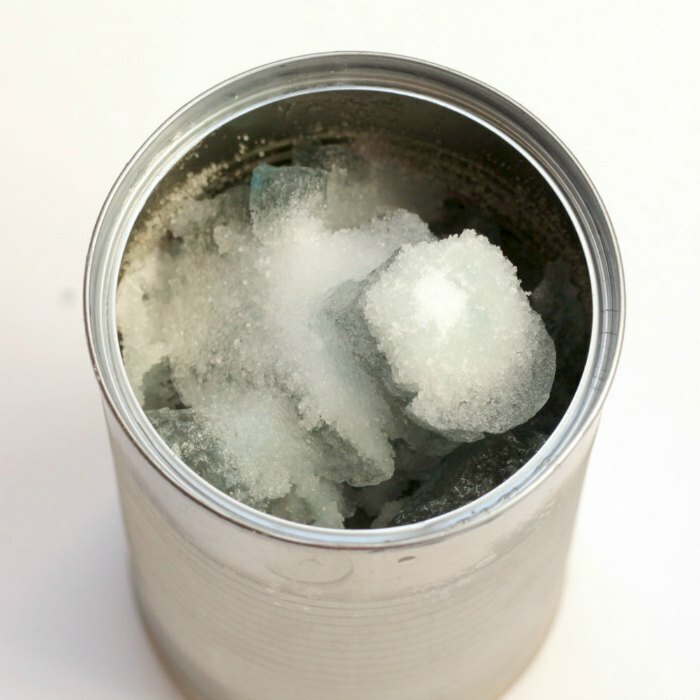 In this experiment, the ice lowers the temperature of the can to right about freezing. Adding salt to the ice lowers the melting point of ice, which means that the water vapor is actually below freezing temperature. This means that when the water vapor comes in contact with the can, it freezes and turns to frost within just a few minutes. I love that this science experiment is simple and doesn’t require me to run to the store for a whole bunch of supplies. 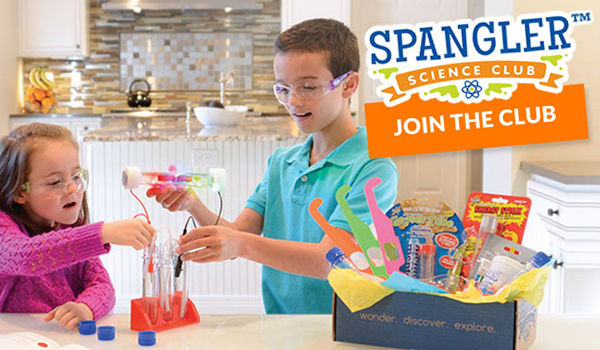 My kids love science experiments but I never have time to gather all the supplies. We have everything for this experiment so we will be giving it a try. Thanks for sharing!